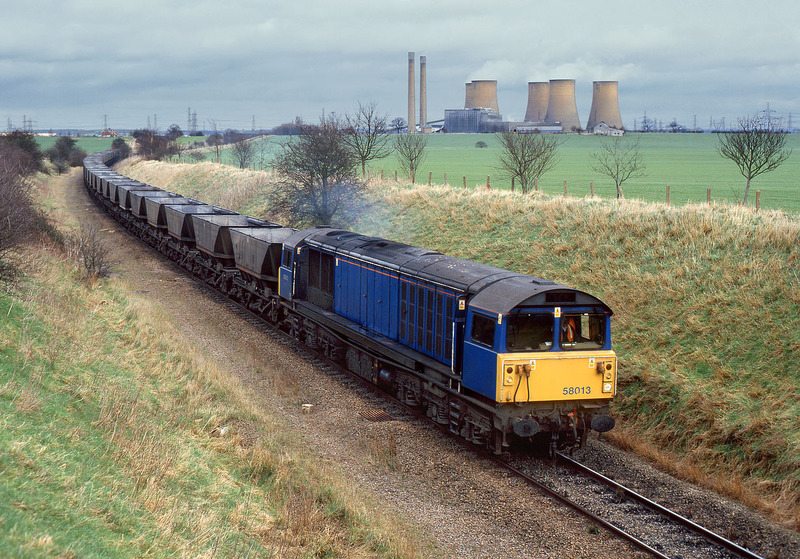 58013 leaves High Marnham Power Station with a rake of MGR empties on a very dull 6 February 1999. The power station closed in 2003 and has since been partially demolished. It is situated at the end of a long branch line from the Shirebrook area. 58013 is wearing Mainline blue livery but devoid of any brandings.